The Pinot Noir exudes rich varietal character, complemented by the precise hand of oak. Fragrant aromas of coffee and cocoa converge with the grape's inherent red fruit and forest floor character. 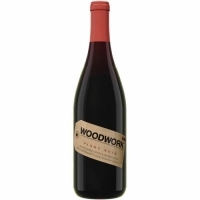 The palate plays off the oak, delivering juicy cranberry and plum flavors with fine tannins and supple texture. Pair this Pinot Noir with roasted pork loin, creamy risotto or a variety of poultry dishes.